This beautiful Solid Douglas Fir Stave Snare from Outlaw Drums offers tone and projection that will blow you away. Highlighting the mid to low tones, this snare may look rugged, but it can adapt to any genre from classical and hard rock to country or rhythm and blues. 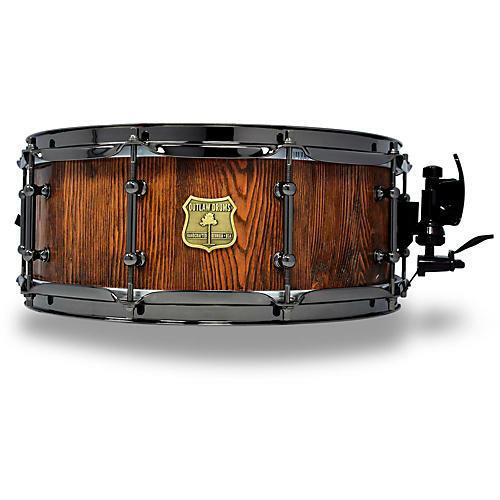 Custom handcrafted from quality lumber in the U.S.A, this drum features a 45-degree bearing edge and stave construction for greater sound from compared to ply construction. This snare is fitted with heavy-duty 2.3mm triple-flanged hoops to endure the meatiest rimshots you can produce. Also, a Dunnett throw-off will give you smooth action and multiple positioning options (R7 only). The shell is commissioned with an antique brass Outlaw Drums "Ranger" badge and is powered by 20 snare wires.